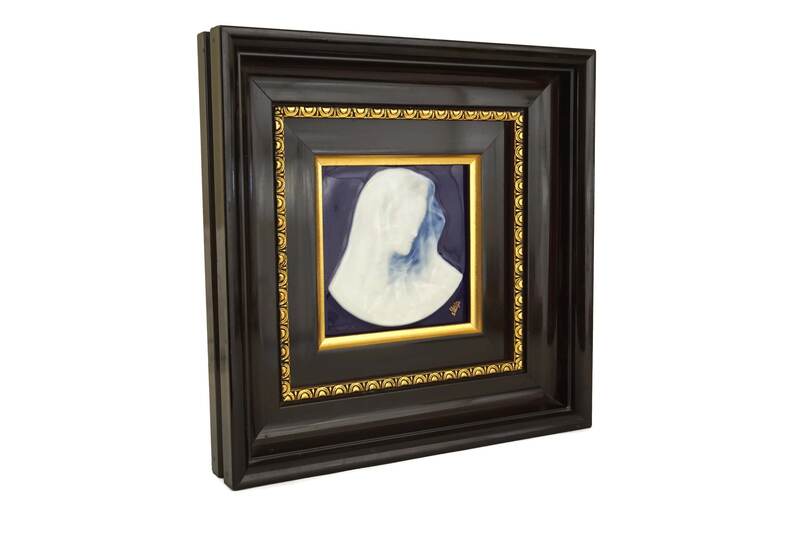 dark brown wooden frame with gold accents. 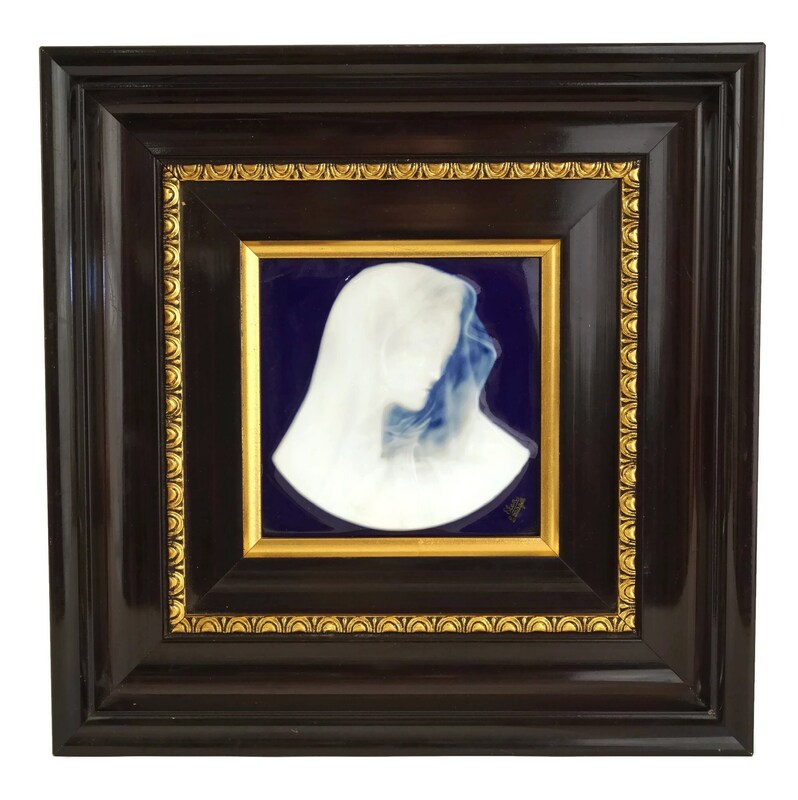 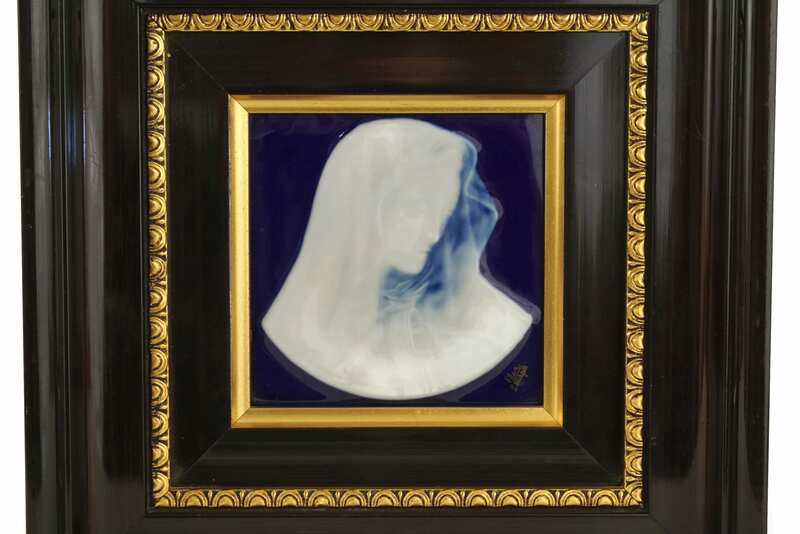 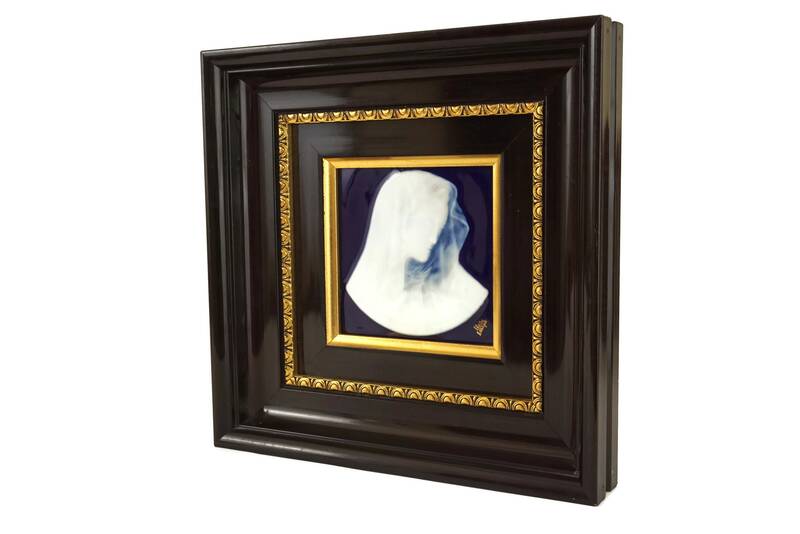 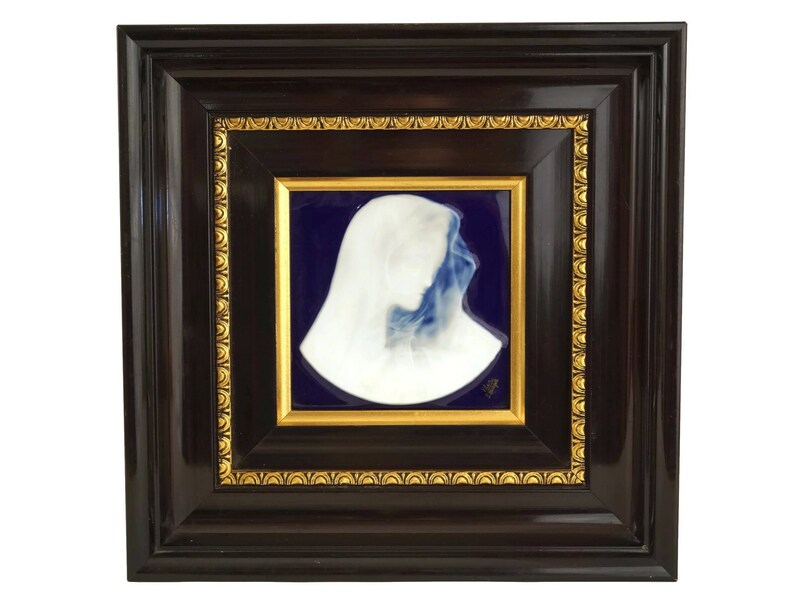 The plaque is a deep shade of cobalt blue and contrasts beautifully with the white profile portrait of Mary. 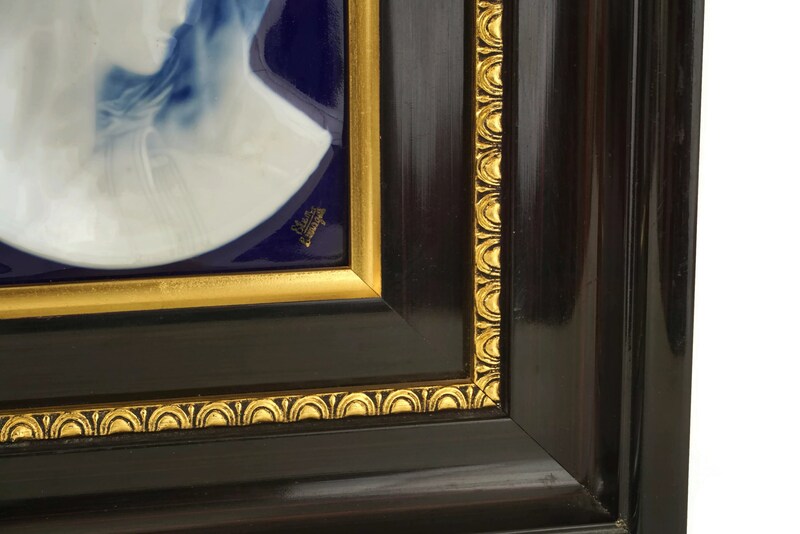 The plaque has been signed in gold text by the artist and features the name Limoges. 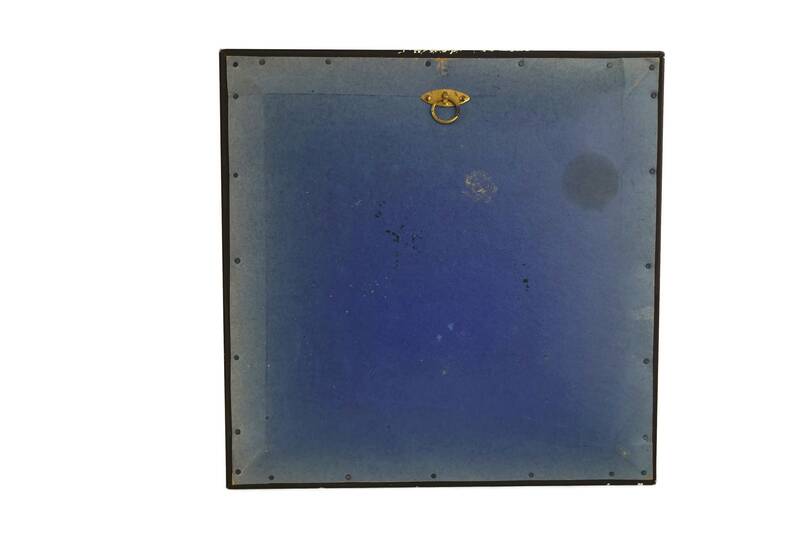 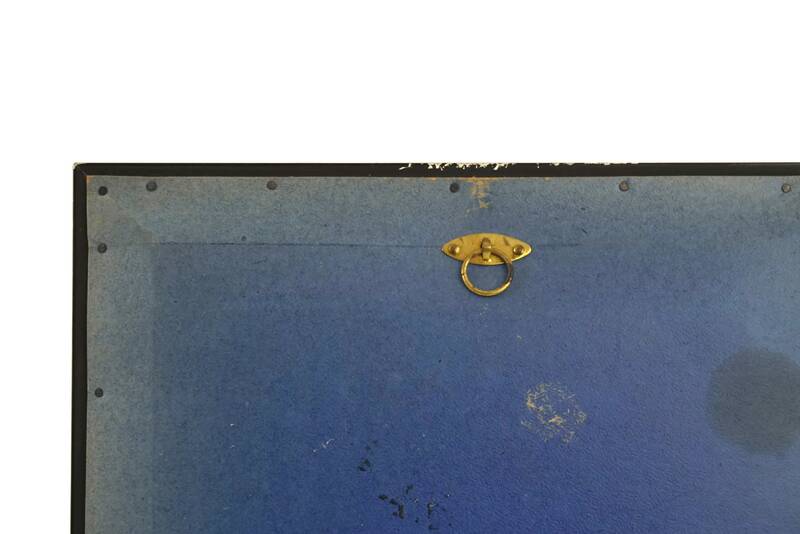 The reverse side of the frame has a hanging ring. 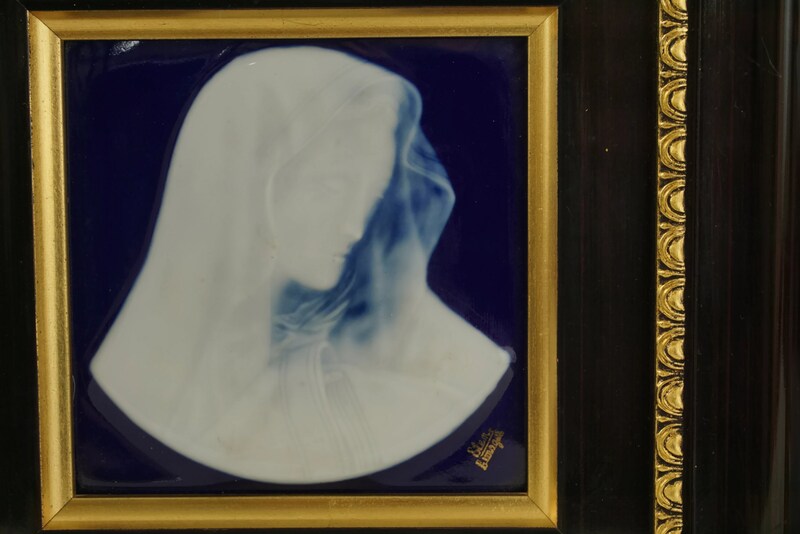 (22 cm x 22 cm). 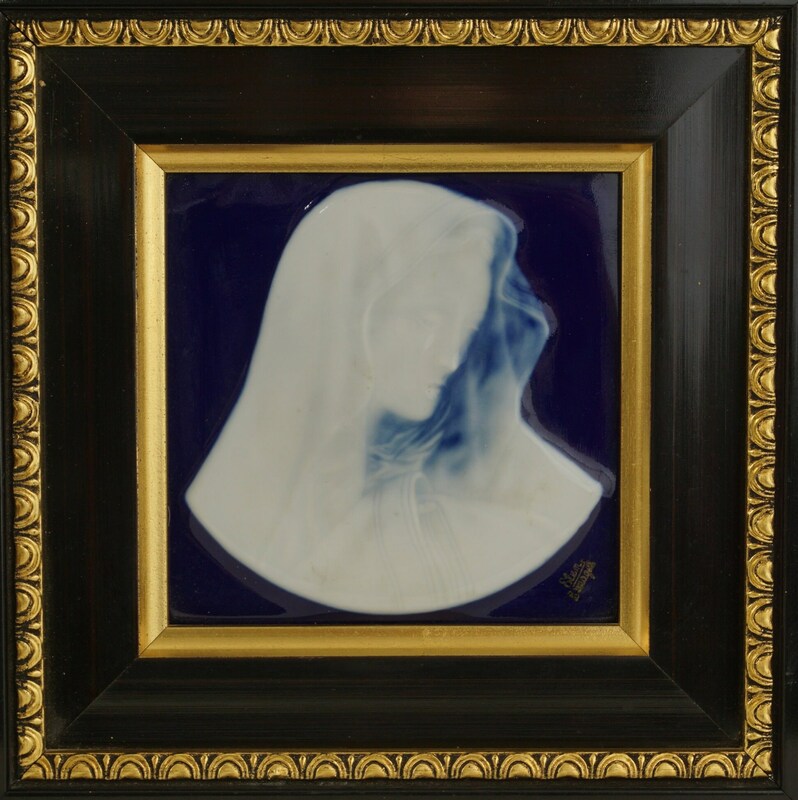 The framed porcelain plaque is in cery good vintage condition with light signs of wear.